Keeping your sewers and drains clean is extremely important to avoid any costly damages. Drain clogs can lead burst pipes, which are messy and expensive to fix. Avoid drain and sewer clogs this year by taking advantage of the many different services that Perfect Sewer & Drain Cleaning has to offer. Getting your sewers and drains cleaned is easy with Perfect Sewer & Drain Cleaning. Each sewer and drain cleaning service comes with We have been offering this service for nearly two decades now, and our experienced professionals are happy to quickly and professionally get your sewers and drains cleaned to avoid any devastating damages to your home in the future. Have an emergency? Depending on your location, we can commit to getting someone out to fix your problem in less than one hour. If you need your pipes thoroughly cleaned, our water jetting service is going to be a great option for you. Using a powerful water jet cutter, we are able to cut into pipes and provide a thorough clean. We are able to clean even small pipes with our state of the art water jetting service. Old and new, big and small, we make sure your sewer pipes are clean so you don’t have to worry about any future problems. Using a strong, safe, and efficient root removal product, we are able to clear out root intrusion. Our professionals use RootX, which uses a powerful foaming action to help rid your pipes of roots. The product itself gets rid of grime on the roots to help dislodge them and then an herbicide in the RootX helps to prevent and future growth from the root after killing it on contact. At Perfect Sewer & Drain Cleaning, we make sure to employ only the best and friendliest professionals to clean and service your sewer pipes. With so many great services, it’s easy to see why we are one of the top sewer and drain cleaning companies in New York. 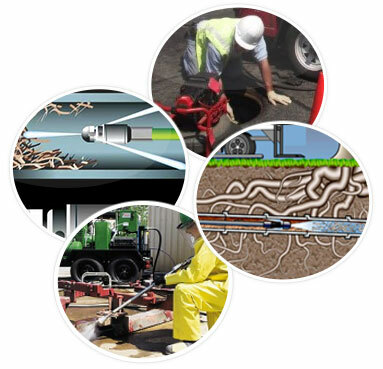 For more than 15 years, we have been helping keep the Brooklyn area’s pipes and sewers clean and performing optimally with our digital video detection, maintenance programs, root removal, water jetting, and many other services.